Prepare to melt! A cold weather worthy massage with pure Shea, cocoa and mango butters are combined into a rich, solid, scrumptious all-purpose balm that melts into skin on contact. Nourishing dry skin, chapped hands, knees and transforming your skin to pure hydration. Marshmallow Melt is softly scented with all-natural tonka bean and sandalwood, reminiscent of a fluffy marshmallow. To enhance your relaxation your feet will be treated with the warm honey heel glaze transforming you from head to toe! Enjoy this season with the warmth of this deliciously intoxicating full body massage. Perfect for anyone looking to melt away the day! 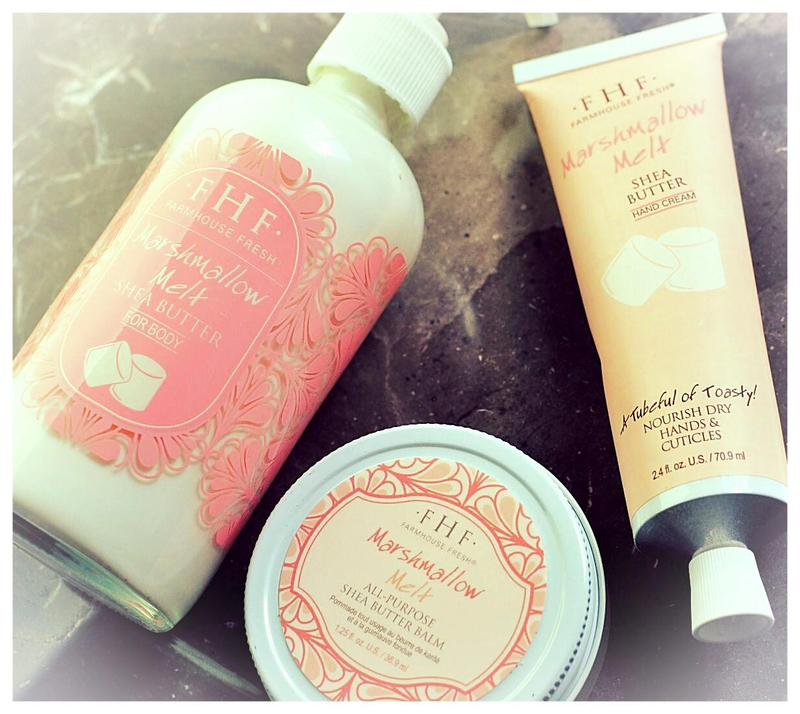 A swoon worthy complexion! Treat your skin to a calming cleanse with our Green Tea infused milk cleanser followed by a pore refining treatment with the One Fine Day facial exfoliant before the intoxicating application of the Pudding Apeel Mask.This peel of Glycolic and fruit extracts combine with hydrating honey and coconut milk to infuse skin with moisture with green tea and honeysuckle extracts to soothe skin. 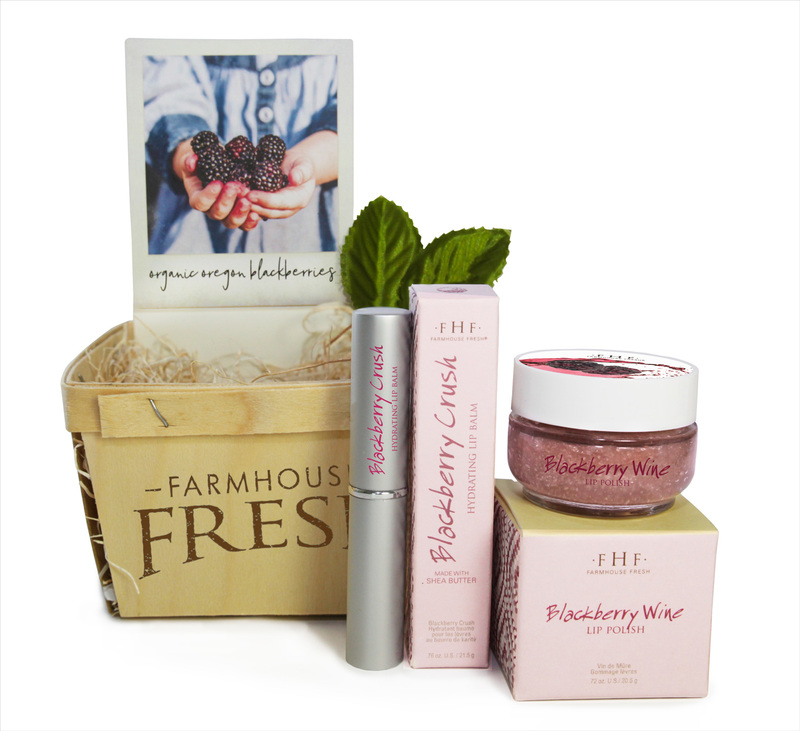 We will also perfect your pucker with the BlackBerry Wine Lip Scrub blended with organic Oregon blackberries and a splash of rich Texas Merlot revealing a plump refined lip! We then apply our famous vitamin infused 3 Milk Moisturizer for a glowing perfected complexion. You will also be treated to a relaxing arm, hand and decollete massage with the new Maypop Steeped Milk Lotion featuring a beautiful blend of slow-steeped U.S.grown passion fruit pulp and creamy organic coconut milk. 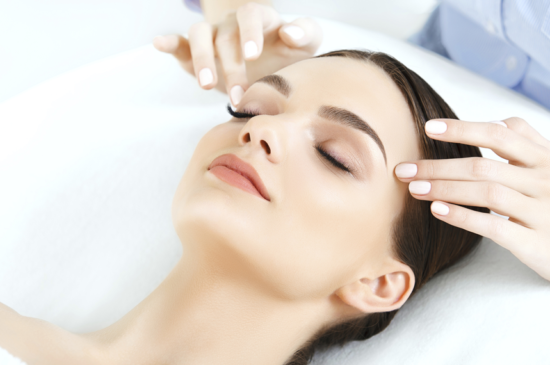 You will emerge with a healthy, glowing, youthful complexion! We’ve got a new crush! 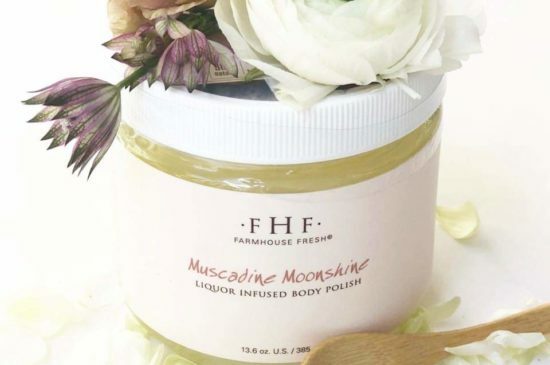 Prepare to be whisked away with this mouthwatering Muscadine Moonshine body polish…crafted with succulent Georgia muscadine grapes, sea salt harvested from U.S. shores, and Fitch’s Goat Moonshine with a smooth finish of butter and berries. Creating a juicy, rich cleansing experience that stimulates your skin’s renewal leaving you soft and deliciously renewed. 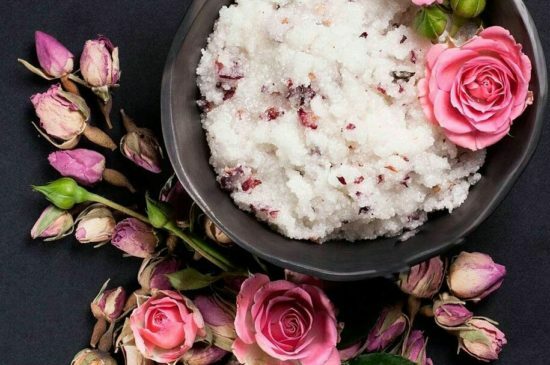 Beginning with a full body dry brush session to stimulate the lymphatic system and remove toxins followed by the relaxing Muscadine Moonshine Scrub from head to to toe. After a warm shower you will then be treated to a luxurious application of the Maypop Steeped Milk Lotion. This dreamy hydrator is as enchanting as it is moisturizing. Its delightful passion fruit aroma is worth swooning over!… you will emerge in a tranquil state of pure bliss. A warm soothing foot bath with our exclusive blend of organic essential oils cleanse, detoxify and sooth hardworking soles. Next a thorough exfoliating foot and leg scrub featuring our new Muscadine Moonshine Body Scrub made from Texas moonshine and Georgia-grown muscadine grapes – banishing rough, dry skin. Finally, a relaxing foot and leg massage with our newest Maypop Steeped Milk Lotion. This passion fruit-infused, gluten-free/ vegan lotion infuses warmed organic coconut milk with passion fruit pulp revealing an exotic, citrus-scented moisturizer. All complete with our ever popular warm honey Heel glaze for the softest feet ever and your choice of Zoya nail lacquer. Blissfullness abounds when you and your special someone are treated to this luxurious side by side massage in our beautiful Couples Suite. 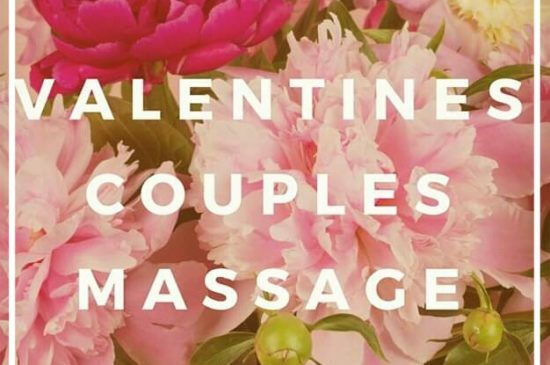 Featuring a swedish full body massage complete with customized aromatherapy, warm river stones and warm towels to induce the ultimate escape this Valentine’s Day. Melt all your cares away and emerge with total relaxation! Mention this coupon upon booking your next appointment. MENTION THIS COUPON UPON BOOKING AND GET $10.00 OFF ANY 60MIN SERVICE OR $15.00 OFF ANY 90MIN SERVICE BOOKED ON MONDAY-WEDNESDAY! THIS DISCOUNT CAN BE USED ONE TIME PER CALENDAR YEAR PER PERSON.